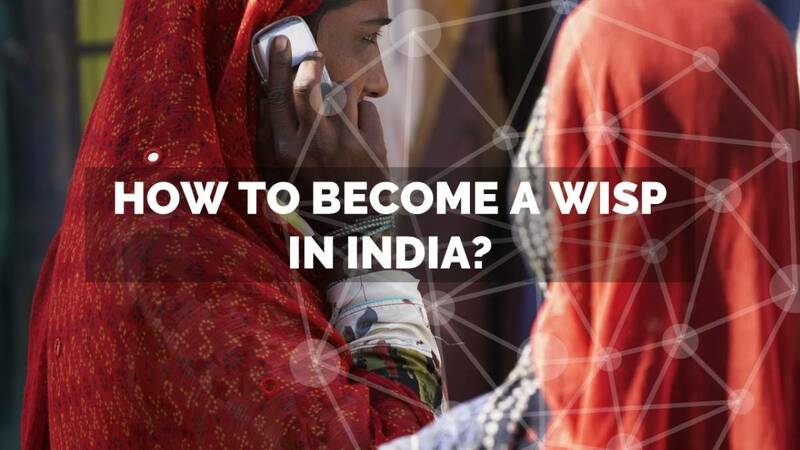 Become a WISP in India! OR simply contact us and we shall help you get started! This article may serve useful to those who want to become an Internet service provider in India and understand the minimum investment required for their own WISP set-up with the help of our ISP consultants. We provide this information based on clients we helped become a WISP in small cities, townships and villages in India. Is it possible to start a WISP business in India with limited investment? With our ISP consultants’ expertise and experience, we can say Yes! To become an ISP few years back in India meant heavy licensing, bandwidth and infrastructure costs. The only possible option to enter the ISP business was to depend on some large player and operate their ISP franchise. After you apply for an ISP license you will be registered as an ‘Internet Service Provider’ via DoT, you can do business under your own terms. This means you can buy cheaper bulk bandwidth from multiple vendors, create your own marketing materials and pricing plans, work with hardware/software of your choice and expand to nearby cities/villages in your district. Although, do note that some licensed ISPs also provide franchisees with better where you can do business on your own terms. You can contact us to check options. However, costs of starting a WISP business in India have significantly dropped over the last 3 years. Costs associated with applying for an ISP license and wireless hardware/software have significantly dropped over the last 3 years. This makes it an excellent time to invest and start a WISP business in India. The following model is built in a way to serve a small city, township towns or villages in India. We have low-cost WISP business models was built over time and in a way that, even with as low as 100 customers per year, the WISP business set up would self-sustainable and profitable. Cost of bandwidth (a 50-70 mbps line is enough for the first 100-150 customers) is about 25,000/month. Do note that this is the most conservative calculation. Do not treat this as actual. Lets proceed further by estimating your recurring costs to start a WISP business in India. Phase D: 7-10 days Bandwidth Purchase ₹25,000/month for 45 Mbps approx. Start your WISP business in India within 3 months. Historic trends suggest that costs of hardware, software and bandwidth will reduce over time. In the next 4 years India will double its Internet population and quadruple its data demands. We’ve planned this WISP business model in a way that – it would be easy for you to expand your customer capacity to 5000 without any server upgrades or major networking costs. Mai ek cable internet opretar hu mujhe internet business ko growt our up to date updated karna hai so pls give same ideas…. How to start an ISP / WISP business in India with less than ₹ 800,000?